The resurgence of high oil prices in 2010-11 is disproportionately affecting Small Island Developing States (SIDS) in the Pacific. Oil prices are again over $100USD per barrel. This is of concern to our Pacific neighbours, given that their economies are heavily reliant on imports of oil. Our paper [soon to be available as a journal article as of May 2014] ‘Renewable Technologies and Risk Mitigation in Small Island Developing States: Fiji’s Electricity Sector’, suggests that a cost-effective response for Pacific island countries is investment in renewable technologies. Source: Oil prices in Fiji dollars calculated by the authors using daily exchange rates and oil prices (in US dollars) from the Energy Information Administration, http://tonto.eia.doe.gov/. The ADB in 2009 [pdf] estimated that 7 Pacific island economies were among the 10 most vulnerable in the Asia-Pacific to oil price volatility. This vulnerability stems from the fact that in Pacific island economies, a large amount of oil is required for each dollar of GDP that is produced, and from the fact that all oil in the Pacific is imported (PNG is an exception), generally at high prices. Adverse impacts of high oil prices in Pacific island countries include inflation, reductions in real household income, and worsening of the terms of trade and balance of payments (see UNDP 2007; ADB 2008; Levantis 2008; ADB 2009; Sugden 2009 ). High oil prices also mean increased cost of electricity and “staple” fuels such as kerosene, which in turn can compromise energy security. The impact of high oil prices on the electricity sector is the result of widespread reliance on diesel or oil to produce the majority of power in almost all Pacific island countries (PNG and Fiji are fortunate to generate significant amounts of power from renewable technologies). In countries where cost increases are absorbed by state-owned utilities, high oil prices have adverse fiscal consequences. In the case of the Marshall Islands, this had major fiscal, economic, and social impacts, forcing the government to declare a state of national emergency and requiring a major bailout of the electric utility. Investments in renewable energy technologies are widely advocated among SIDS in the Pacific and elsewhere as a response to high oil prices (see the 2008 Pacific Islands Forum Leaders Communiqué [pdf] for example). Despite this support, there has been no rigorous analysis of the risk mitigation benefits of renewable technologies among SIDS. Renewable Technologies and Risk Mitigation in Small Island Developing States: Fiji’s Electricity Sector [pdf] addresses this gap in knowledge, applying portfolio theory to scenarios of future electricity generation in Fiji. Investments in renewable technologies are assessed on the basis of their impact on both generation cost and financial risk for the electricity grid in Fiji. 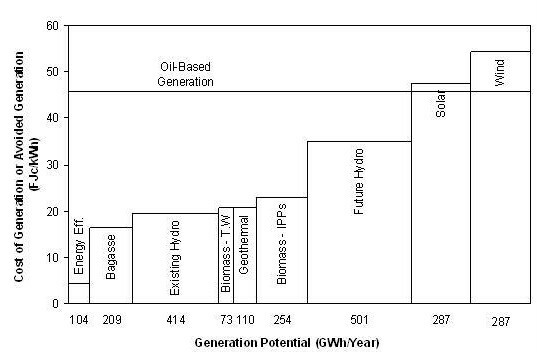 The technology cost curve in graph 2 illustrates that there are a number of renewable energy technologies in Fiji with lower generation costs than oil-based generators. Note: The cost of oil-based generation assumes an oil price of $120 USD per barrel of oil, consistent with the 2025 forecast of the IEA’s World Energy Outlook 2010. 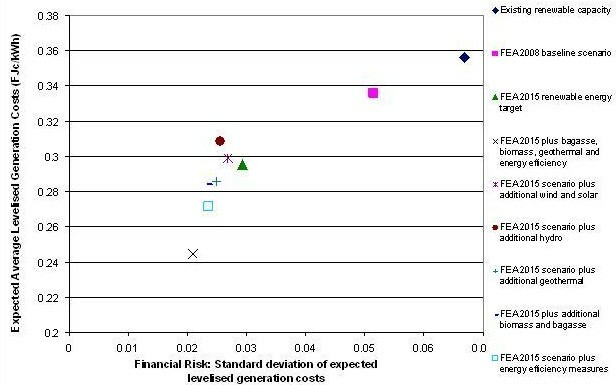 The graph, like other cost-benefit analyses in the electricity sector, does not consider financial risk – an important oversight in the Pacific, considering the widely cited “risk mitigation” or “energy security” benefits of renewable technologies (these terms are commonly used in national and regional level planning documents). Financial risk is incorporated in our analysis, providing a measure of both the cost and risk mitigation impact of investments in renewable technologies. These impacts are considered from a system-wide perspective, addressing issues of intermittent power supply from renewable technologies (for example, wind turbines don’t produce electricity when there is no wind, and back-up capacity is needed to prevent shortfalls in power supply). Various other scenarios featuring additional investment in renewable technologies (beyond those envisaged by the FEA). The analysis shows that in Fiji there are significant cost reduction and risk mitigation benefits associated with investments in renewable technologies. The scenarios that have lower expected average costs generally also have the lower cost risks – and these benefits tend to increase with the extent of renewable energy in the overall portfolio. However, not all investments are equal. Most beneficial from a risk/cost perspective is investment in low-cost renewable technologies, including geothermal, energy efficiency, biomass, and bagasse technologies. High-cost renewable technologies such as wind and solar-power reduce financial risk but increase generation costs. 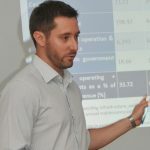 Investment in hydro-power, the flagship renewable energy program of the Fiji Government, decreases financial risk but has a minimal impact on generation costs. In Fiji, the findings suggest that further investment in low-cost, low-risk renewable technologies should be encouraged on energy security grounds, and with the goal of lowering generation costs in the electricity grid. The results also suggest that investment in low-cost, low-risk technologies should be prioritised over investment in hydro-power generation capacity. Importantly, this suggests the Fiji Government’s focus on hydro-power projects is mistaken when considered from a system-wide perspective. More broadly, the results highlight the importance of considering financial risk as well as generation cost when planning investments in electricity generation capacity. This is relevant in other Pacific island countries and Small Island Developing States. The electricity sector in the majority of these countries is dominated by oil-based power generation. As a result, this sector is vulnerable to oil price increases and oil price volatility, both of which are predicted in the coming decades by the International Energy Agency (see the latest World Energy Outlook). Our paper shows that renewable technologies can reduce financial risk where oil-based power generation plays a big role in power supply. The finding is likely to hold in the many other Small Island Developing States. Matthew Dornan is a postdoctoral research fellow at the Development Policy Centre. Frank Jotzo is a Senior Lecturer at the Crawford School of Economics and Government and Director of the Centre for Climate Economics and Policy, at the ANU. Frank Jotzo is a Senior Lecturer at the Crawford School, ANU, is Director of the Centre for Climate Economics & Policy and Deputy Director of The ANU Climate Change Institute. Thanks for this interesting blog and discussion paper. 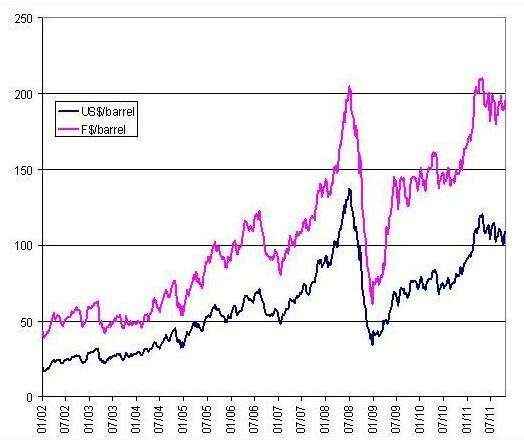 A resurgence in oil prices will probably wreak havoc again on many of the small island economies, sad to say. The 2008 fuel crisis was a real wake up call for the Marshalls, as you mention. The silver lining on that cloud was that it forced leaders to focus more attention on reforms. The major electric utility was already developing a reform plan when the crisis hit, forcing it to fast-track the process (it was aleady insolvent prior to the crisis!). The crisis also resulted in RMI developing its first comprehensive national energy policy and action plan, which emphasizes energy efficiency, renewables, and other initiatives. Australia, ADB, and other partners responded with good support. Since 2008 we’ve seen a wide range of energy projects and initiatives get moving. But…. much more could have been done to strengthen the country’s resilience, both in terms of its energy security and its fiscal position. As they say, history repeats itself… because we don’t always learn our lesson the first time around!